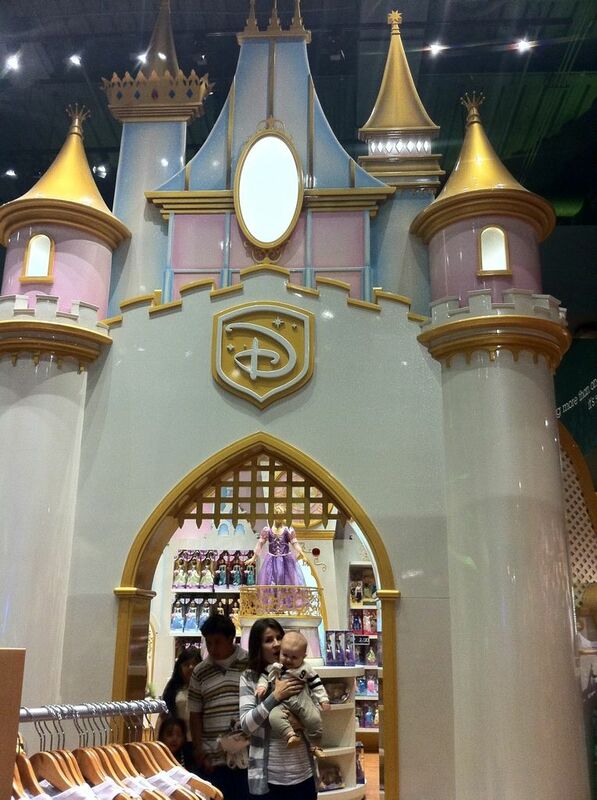 HEY NATALIE JEAN: THE DISNEY STORE IN TIMES SQUARE . . .
is nothing like the real disneyland. is it at least the closest thing in times square? are you sure? i think it looks just like it. I know! It's so sad, isn't it? We were REALLY disappointed. And then last month they closed the bottom floor to do renovations, and we were really excited because we thought they were gonna make it cooler, but they didn't. :( For a place that is supposed to be so magical and fun and creative, they really fall short. Unless you jump on one of the clothes racks and start riding around like it's Space Mountain. But then again the employees would not be happy and of course at Disneyland the Staff NEVER get upset. How could they? They get to live at the "Happiest Place on Earth!" Umm, did you run into "Minnie Mouse" there? Sure hope not, hahaha! Could Huck be any cuter?!?! Darling. well...you will just have to come stay with us and see disney land! dogs. I hear you. I think you are making the right choice, if only you could have your big apartment and country backyard for them. :) its still heartbreaking. We got libby, cause we thought we were close to settling down- and now we are moving to the city, small apartment...no backyard and doggie bags for me. :( the things we do for these silly little creatures. Why is it New York makes Germany sound really old and dull? My SIL had a baby at Gritman Hospital this week and I thought of you. Yes, but it is much MUCH cheaper. And no hour long lines! This was, quite possibly, the most anticlimactic thing I've read today.